Herringbone patterns continue to be a huge trend in the interior design world and the team here at Mastercraft Tiling are loving them! Herringbone tile pattern enhances your space & gives a contemporary look. The popular geometric pattern is suitable for both contemporary and period properties, helping to add that extra touch of luxury. Herringbone patterns work well in any space, adding that extra sense of flow and expanding narrow spaces. They tend to cost a little more, but have a striking effect and the best thing is it will never date. 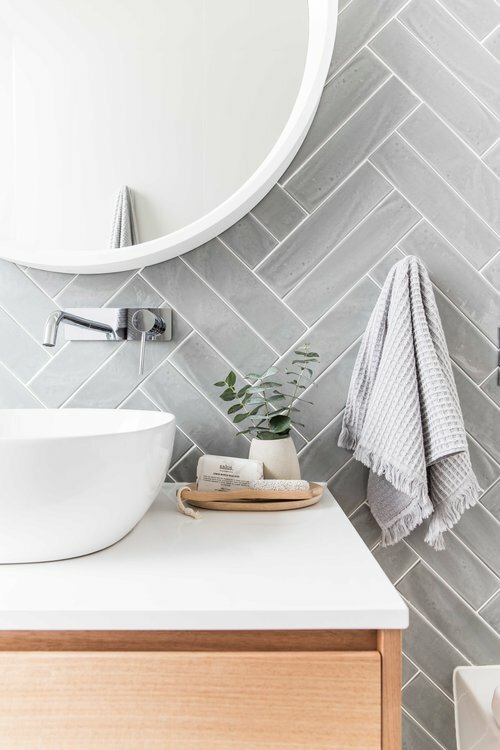 TIP: This layout can look especially stylish when paired with a contrasting grout colour, such as grey grout with white tile, emphasising the geometric pattern. We love it so much – it inspired our logo.